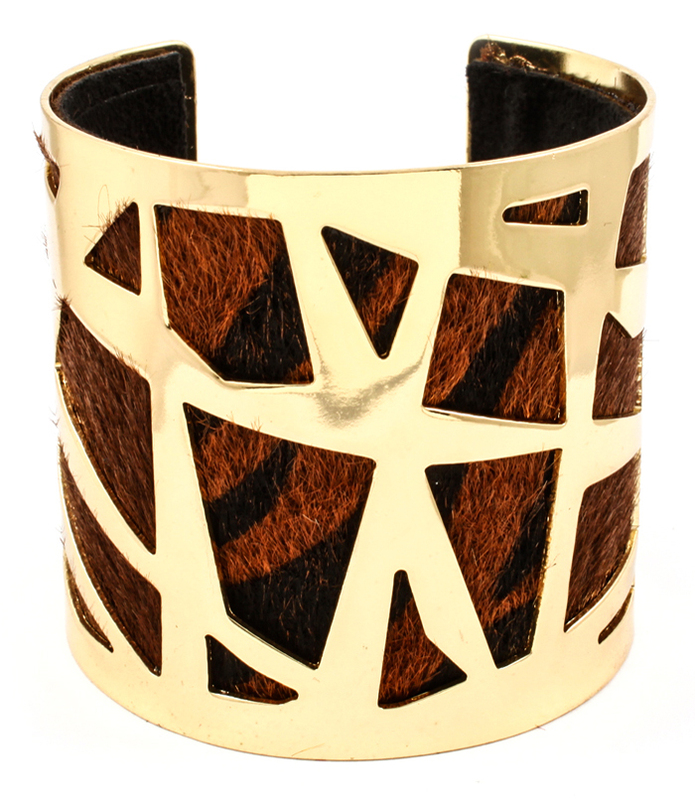 The Tyra cuff bracelet is a contemporary design with a glimpse of a wild side. Featuring a smooth curvature of cast-gold accented by geometric shapes made of tiger faux fur. A chic way to blend animal print into your look du jour. Take advantage of our affordable cheap jewellery online and buy here now.